Welcome to my winter version of what I'm buying on Amazon. Today I'm breaking down the top three categories I look to on the trusty shopping destination. I'm also sharing one of my best-kept styling secrets in the second section (you'll have to scroll down to find out). From thermal gloves to no-brainers like winter boots, these are the items I always shop on Amazon. Sorel has been my go-to brand for winter boots for years now. Thanks to the expert craftsmanship, the footwear is functional for winter's most intense days. 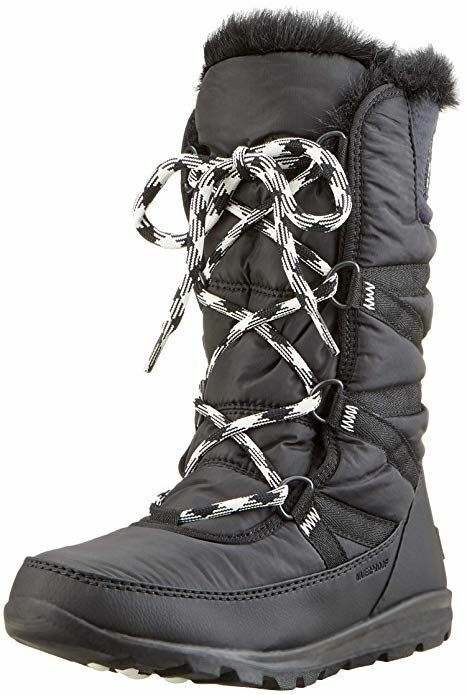 Since Sorel is available on Amazon, I can conveniently update my selection or browse and check out the new styles. Shop the cold weather–ready boots I'm eyeing below. You can never have too many layering pieces when you live somewhere with severe temperatures and wild snowstorms. The brands I look to on Amazon are Hot Chillys, North Face, and Patagonia. Here's a secret tip: If you own a coat you love but it does not provide the best amount of warmth, you can sew in very thin, lightweight pieces like any of the below options to add an additional layer of coziness. Amazon is the best place to buy last-minute winter accessories like cozy hats, scarves you can bundle up in, and thermal gloves. Shop the useful winter items I'd buy below.